Sports fans are spoiled for choice in London, home to the two biggest stadia in the UK as well as numerous other sporting arenas. Check out our list of the top London sporting venues and see what sporting events are coming up for your diary. The national stadium of the England football team, Wembley Stadium was re-opened in 2007 after a full rebuild to the tune of £757 million. The second largest stadium in Europe, Wembley took over three years to build and is located on the site of the previous 1923 Wembley Stadium, often referred to as 'The Twin Towers' or Empire Stadium, which was demolished in 2003. The much-loved old stadium played host to some incredible games during its 70-year life, starting with the infamous 'White Horse' FA Cup Final in 1923 when over 240,000 spectators crammed their way in to watch Bolton Wanderers beat West Ham United 2-0. The famous twin towers have been replaced with the new stadium's trademark soaring 134m-high arch - the longest single span roof structure in the world - which is visible from all over London. Early teething problems with the standard of the pitch meant the turf had to be relayed 10 times in the first three years. As well as being the national home of the England football team and hosting the latter stages of various domestic club football competitions (such as the FA Cup Cup, Community Shield and Championship/League play-offs), Wembley Stadium also hosts the Rugby League Challenge Cup final and the annual NFL International Series game. In 2011, Wembley held the UEFA Champions League Final between Barcelona and Manchester United. The Stadium also hosts the 2013 Champions League final. Outside the sporting world, Wembley is also a large venue for top music acts, and has played host to the likes of Take That, Muse, Oasis, U2 and Coldplay. Though it does not have quite the same kudos as Lord's, The Kia Oval (known so because of a sponsorship deal, but usually referred to simply as The Oval) is in many ways just as pleasant to watch a day's cricket. Test matches against the West Indies and teams from the Indian subcontinent are particularly atmospheric, with south London's large Caribean and Asian populations turning out in force to support their heroes. 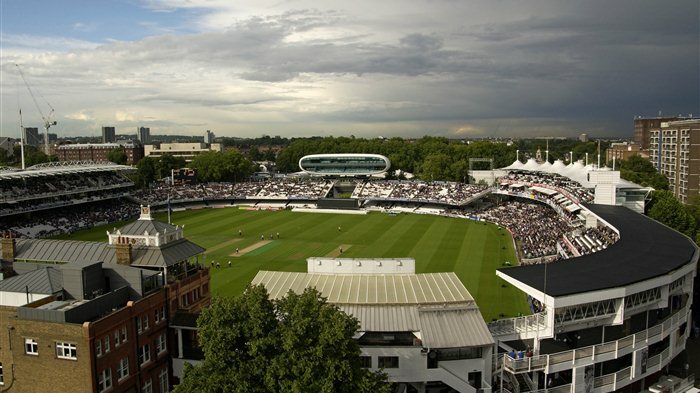 The Oval is often the venue of the last Test match of the English summer and has played host to many famous finishes to a series, not least England's historic final day Ashes win in 2005. It is also the home of Surrey County Cricket Club and supports a busy programme of fixtures throughout the summer. Believe it or not, but The Oval was first a football ground before giving away to cricket - and the first ever FA Cup Final was played there back in 1872. As such, The Oval is one of two sports ground (Bramall Lane in Sheffield being the other) to have staged both England Football and Cricket internationals, as well as FA Cup Finals. The 23,500-capacity stadium also holds an exhibition match for Australian Rules Football in October each year - and in 2005 drew a record Aussie Rules crowd of 18,884. Established in 1886 during the reign of Queen Victoria, the Queen's Club was the first multi-purpose sports complex to be built anywhere in the world. But as rugby, football and the like moved to large purpose-built stadiums, the Queen's Club came to focus increasingly on racquet sports and in particular tennis. Located in Baron's Court in west London, Queen's boasts 27 outdoor Lawn Tennis courts (of which 12 are arguably the finest grass courts in the world) and 10 indoor Lawn Tennis courts within its grounds, as well as a cluster of real tennis, rackets and squash courts, plus a gymnasium. The Queen's Club used to home of the Lawn Tennis Association until it relocated to Roehampton in 2007. Today the club still hosts the world-famous AEGON Championships (formerly Stella Artois Championships) in the second week of June. The AEGON Championships remains one of the six most prestigious grass competitions on the men's ATP Tour, attracting the biggest international stars of the men's game ahead of the grass-court Grand Slam event at Wimbledon two weeks later. After a century at nearby Highbury, Arsenal FC moved to the state-of-the-art Emirates Stadium in 2006. The 60,365-capacity stadium - originally called Ashburton Grove before a 15-year sponsorship agreement was signed between the club and the Emirates airline - is a suitably slick home for London's best-supported (and historically most successful) football team. Shaking off a reputation for playing dull defensive football under George Graham in the 90s, Arsenal now vie with Spanish giants Barcelona to be the most attractive club team in world football. And yet, success has been elusive since Arsene Wenger's side left Highbury: the club are yet to win any silverware following a move that many claim has put Arsenal at a financial disadvantage to their rivals. Renowned for its flawless playing surface, the Emirates Stadium cost £470 million but has a reputation for the same tepid atmosphere that saw the Gunners' previous home labelled the 'Highbury Library'. In 2010, a clock was installed above the newly renamed Clock End of the Emirates in homage to the old, much-loved clock at Highbury in what was one of a number of measures to bring about the 'Arsenalisation' of the stadium. The Emirates has been used for music concerts - such as Bruce Springsteen and Coldplay - and it also has acted as a home-away-from-home for the Brazilian national football team's European friendly matches. The Emirates has been named as one of the stadiums that will host rugby matches during the 2015 Rugby World Cup. Tickets are hard to come by for Arsenal's home games - and remain amongst the most expensive in the league, despite Arsenal's recent barren run. Arsenal's official shop - the Armoury - is located on the southern side of the stadium. The club also operate special Emirates Stadium tours - visit www.arsenal.com for details. The centrepiece of the redeveloped Millennium Dome is the O2 Arena, the first purpose-built indoor sports and live music arena in London. With a capacity of 23,000, it offers the rather soulless Wembley Arena some serious competition, with a constant stream of big name musical acts making it the most visited music arena in the world. But in recent years, The O2 has become an increasingly popular venue for sport - as emphasised during the London 2012 Olympics where the 'North Greenwich Arena' (as it was named) hosted the basketball finals as well as artistic gymnastics and trampolining. Since 2009, the O2 Arena has hosted the ATP World Tour tennis finals - and the contract was recently prolonged until 2015. As a tennis venue, it is second only to New York's Arthur Ashe Stadium for size. A variety of other sports events take place under the dome - including darts, polo, gymnastics, martial arts, wrestling and basketball from the NBA. Running from Buckingham Palace to Admiralty Arch and Trafalgar Square, The Mall is a long red tarmac road which splits St James's Park on the south side from St James's Palace and Green Park on the north. Closed to traffic on Sundays and public holidays, the tree-lined Mall offers one of London's most memorable views of the Queen's official residence. It is often decked out in Union Jack flags and is used in processions and marches - such as royal weddings and funerals. The annual London Marathon finishes on the western Buckingham Palace end of The Mall, while the London 2012 cycling road race events finished along the wide, tree-lined avenue, as well as the marathon events. In 2013, a new professional cycling race in and around London and the Surrey hills is set to finish on The Mall too. Technically two different parks, Hyde Park and Kensington Gardens are in practical terms one huge, merging expanse. The 'split' dates back to 1728 when Queen Caroline, wife of George II, took almost 300 acres from Hyde Park to form Kensington Gardens. The 350 acres that remained has become one of London's best-loved parks. Almost every kind of outdoor pursuit takes place within its lush green landscape, including horse riding, rollerblading, bowls, putting and tennis, while informal games of cricket, rounders, football, touch rugby and frisbee spring up on the area to the south of the park known as The Sports Field. During the London 2012 Olympics, Hyde Park hosted the triathlon events as well as the marathon swimming in the boating lake. Every year, numerous major sporting events take in the park - including the Royal Parks Foundation Half Marathon. The closest racecourse to London (just 40 minutes from Waterloo by train), Kempton Park has a very different atmosphere to the more rural courses with DJs and discos to keep the crowds entertained, cheap floodlit evening races to attract working punters on weekdays and no dress code beyond a vague adherence to respectability. The most famous races are held during the Christmas Festival on 26th and 27th December, including the King George VI Chase, which was won four times by Desert Orchid. There are around fifty race-days a year, many of them clustered in April and September. Kempton Park is now floodlit so you can enjoy a race as the sun goes down. Grab a pint, place a bet and cheer on your horse from the sidelines, gripping that lucky ticket tight, in case she comes home! A day at the races is a brilliant release from the usual humdrum activities. Between March and April the fixture list is chock-a-block with over 50 races. If you've got kids, you should try one of the family days with a creche and free activities for the little ones. Now primarily a venue for live music and comedy acts, Wembley Arena is also a major indoor sports venue, hosting the annual Masters Snooker tournament, boxing, mixed martial arts, ice hockey, darts, netball, basketball, five-a-side football, wrestling and even cage fighting. The Arena, which was built in 1934, originally housed a swimming pool, which was used during the 1948 Summer Olympics. In London 2012, London's second largest indoor arena was used for the badminton and rhythmic gymnastics events. A versatile space, Wembley Arena has also been used for the filming of popular TV shows The X Factor and Strictly Come Dancing. Situated in 200 acres of beautiful parkland in south-east London, just 10 miles from the city centre, the Crystal Palace National Sports Centre plays host to international athletics and swimming events. The Crystal Palace Athletics Stadium has a capacity of 15,500, which can be increased to 24,000 with temporary seating, and since 1999 has hosted the London Grand Prix annual athletics meet. The sports centre attached to the stadium also offers specialist facilities to London's Olympians-in-training, as well as indoor sports including a 50m swimming pool, squash, basketball, korfball, 5-A Side and 11-A Side, volleyball, trampolining, karate, climbing, aerobics, weight training, netball, hockey, badminton and gymnastics. With the opening of the London 2012 Olympic Stadium, the future of the Crystal Palace Athletics Stadium is up in the air. Responsibility for the Sports Centre has been transferred to the London Development Agency as part of the Olympic bid. One of the proposed plans is for Crystal Palace FC to rebuilt the stadium as a 25,000-seater football-only stadium without a running track. An earlier plan was for north London football club Tottenham Hotspur to redevelop the existing athletics stadium as part of their pledge in taking over the Olympic Stadium in Stratford - but with West Ham United winning the bid, this now looks unlikely. From cheap budget hotels to luxury 5 star suites see our discounts for hotels, including Holiday Inn London Bloomsbury from 65% off.